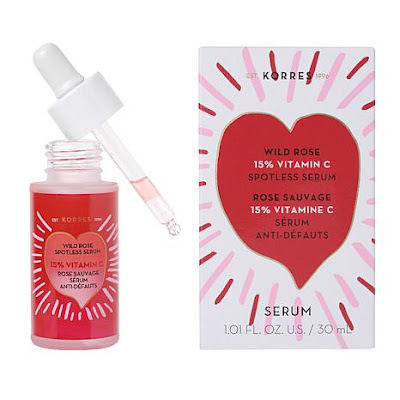 NEW KORRES Wild Rose 15% Vitamin C Spotless Serum harnesses Wild Rose Oil $75, in combination with Super Vitamin C to effectively brighten skin and treat all signs of ageing. The unique, double phase oil-and-water treatment has the significant ability to repair fine lines, deeply nourish skin and diminish skin discolorations. The intensive face serum contains no synthetic fragrance and is to be used as an intensive face serum treatment day and/or night. For maximum skin tone repair, layer with Wild Rose Vitamin C Brightening Sleeping Facial and Wild Rose Vitamin C Active Brightening Oil at night. The 10% Wild Rose Oil is used to brighten and improve radiance and skin discoloration while improving fine lines. Another key ingredient, 15% Super C is the highest concentration of clinically effective stabilized Vitamin C. This potent ingredient increases your skin’s absorption of ascorbic acid by 1000%, offering significant dark spot and discoloration repair while evening skin tone. Additionally, Bisabolol & Ginger root extract is a potent synergistic blend of natural anti-irritants that act against inflammation cause by air pollutants, harsh temperatures, and UV radiation. 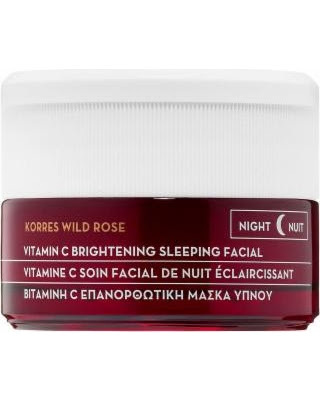 KORRES Wild Rose Vitamin C Brightening Sleeping Facial $48, is an overnight facial-in-a-jar with a unique soufflé texture that melts instantly into the skin for intense hydration and brightening overnight. The formula contains a generous dose of Wild Rose Oil, boosted with stabilized Super Vitamin C, turmeric extract and hyaluronic acid for softer, smoother, and more radiant skin by the morning. The Sleeping Facial also addresses early signs of ageing and wrinkles by helping promote skin elasticity. 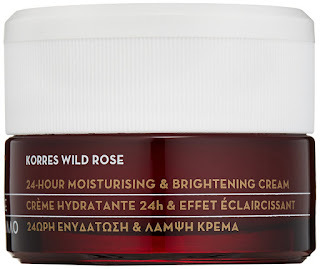 KORRES Wild Rose Vitamin C 24-Hour Moisturiser $39, is formulated with a range of natural ingredients that moisturize and brighten the complexion. This new formula of a global best-seller is boosted with the new Patch H2O Complex for a lightweight water texture that quickly absorbs into skin and offers immediate hydration. Wild Rose Oil, combined with stabilized Super Vitamin C and turmeric extract helps to improve the appearance of fine lines and even skin tone to reveal smoother and younger-looking skin.